Sometimes, when you get a game design just right, it can morph into all sorts of new possibilities. Such was the genesis of SSI's 5-Star Series. Panzer General was a slick, sweet design that became the best-selling war game of all time. It was easy to learn, hard to win, and very well-crafted. Allied General offered more of the same without much change to the system, while Fantasy General took the whole thing to the world of elves and fairies, complete with spells and fantasy landscapes. In 1996 Star General took the system still further while staying with the basic design, and in the process created an eminently fun, beer-n-pretzels conquer-the-galaxy game. 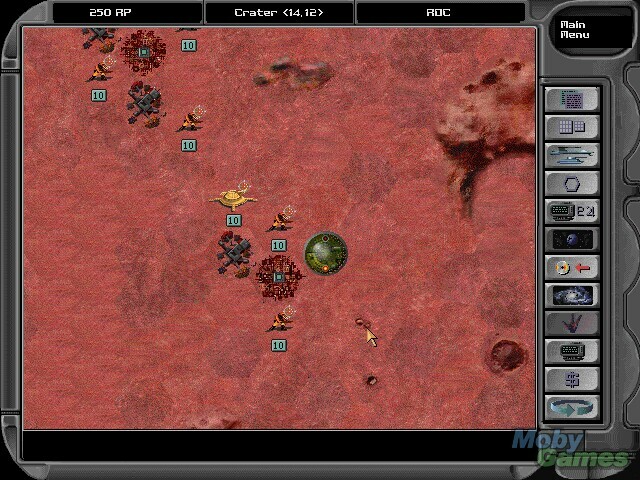 Star General is an intergalactic wargame with minor resource management and diplomatic elements. It is not, nor does it attempt to be, a deep, Master of Orion-style strategy game. The fun of it comes from its wide open play and two-level design. You begin a game of Star General in one of two ways: either as a single, set game or as a randomly generated campaign. 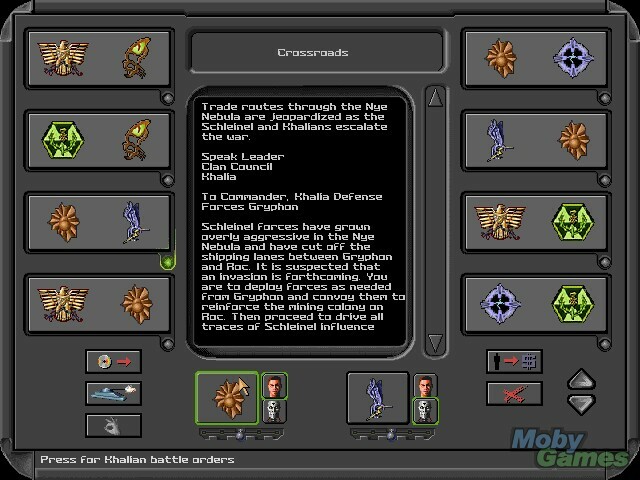 The individual scenarios have specific goals, such as conquering planets A and B, and pre-set enemies. There are some problems with many of these scenarios, namely unrealistic turn limits that require you to conquer an armada and two planets in, say, 15 turns. Not bloody likely. The best way to play is the custom campaign generator, which allows you to create the universe you want to play, and pick or randomize opponents. You can set universe size, planet density, diplomacy options, starting funds, tech levels, and other features to produce just the kind of game you want. The universe generates itself, and you begin the conquest of a new and unexplored galaxy, defeating enemies and seizing planets as you go. Play itself is on two levels. You usually begin in the space around your base planet. Using some starting funds, you begin to build your empire on the ground and in space. You can zoom down to the planet level, which can have varying landscapes and city configurations. To help generate new resource points, the common coin of the game, you build revenue-generating structures on the planet such as mines, factories, and biodomes. A military complex enables you to build ground combat units, while a tech facility will research new unit technology. 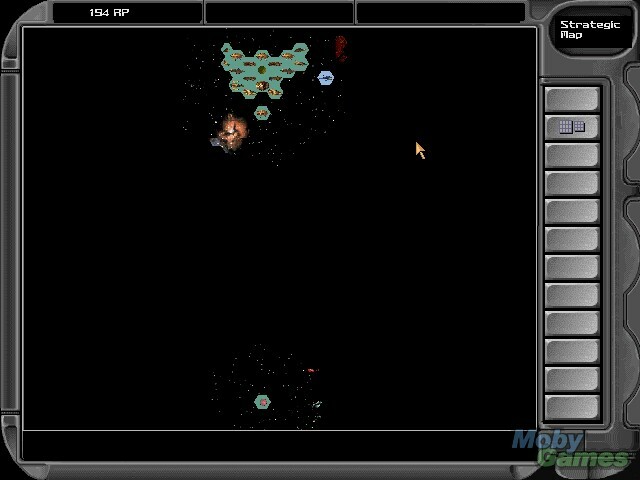 You can then zoom out to the space level and build your armada of space ships, which follow the familiar patterns of naval combat from Panzer General. Battleships, cruisers, destroyers, gunboats, and other space ships each have their own unique abilities, with different ratings for range of movement, attack, defense, armor strength, and so on. With this armada, you will explore the black void of space, seeking out new planets to colonize and enemies to engage. When you have beat an enemy's space fleet, you can close in on their planet, bring up troop transports loaded with ground units built on your home planet, and begin the ground war. It's this dual ground/space attack that makes Star General such a blast. 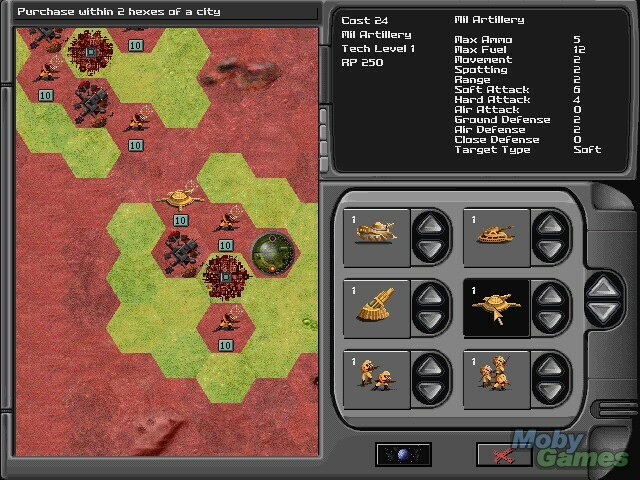 Combat follows the Panzer General style of simplified move and attack, with some nuances to each unit ensuring a strong tactical wargame element. Play is tough - damn tough at times - and an early patch to the AI has already been released to make it tougher yet. If there is a flaw it is with the modest quality of the graphics. There are some 100 space units and almost as many ground units in this game, coming from seven different races. At times it's almost impossible to tell a cruiser from a light cruiser from a destroyer, and more refined graphics would have lessened this problem. But that's the only fly in the ointment here. 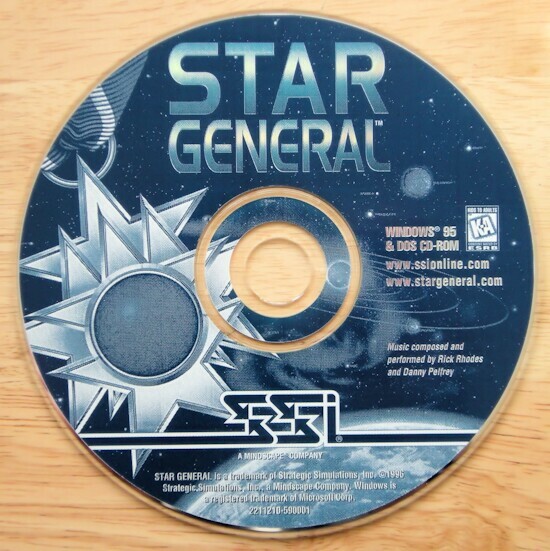 While it's no great leap in design innovation, Star General was and is simply a good, challenging, fun game.